Over the last couple of years, webinars have grown in popularity. The main reasons why webinars continue to be popular is that they’re an effective marketing strategy that can help you boost your revenue when you launch a new program, build your email list, and convert leads and subscribers into new customers. In essence, a webinar is nothing more than an online presentation or a brief seminar conducted online that educates your audience on a specific topic and concludes with a sales pitch meant to convert the attendees into new customers. If you’ve been wondering how to plan and create a sales webinar that converts, you’re in the right place. In this article, we’ll talk about the benefits of hosting webinars and show you how to plan and deliver a successful sales webinars to increase your bottom line. Why Create and Host Sales Webinars? When done right, webinars have many benefits for business owners. Since webinars are seminars or workshops delivered online, it goes without saying that as the webinar host, you’re seen as the expert and the authority in your niche. Webinars boost your credibility, which then builds your brand recognition and makes potential customers more inclined to buy from you. Asking people to sign up for your webinar is one of the fastest ways to build your email list. As an added incentive, you can even offer to send a webinar replay to anyone who registers to attend the webinar. All you’ve got to do is create a landing page for your webinar with an email sign up form and promote it across your social media platforms and your blog or website. If you’ve got a product to sell or want to book more clients for your services, webinars are a powerful way to do that. If you structure your sales webinar correctly, you can educate your clients on how your product or service solves their problem and then give them an opportunity to buy while they’re still on the webinar. This leads to an immediate boost in sales, especially when you add a special offer or bonus for those who buy during the webinar. If you’re toying with the idea of launching a new product or a service, you can use webinars to gauge how interested your audience would be. Simply create a landing page, promote it, and keep track of how many people register as well as how many people show up at the time of the webinar. You’ll instantly know whether the idea is worth developing further and you can even ask webinar attendees to become your beta testers. Webinars can also become your digital products. You can use the webinar recording as part of a membership site or sell the recording as a standalone training. This works extremely well if you run a webinar on a popular topic. Lastly, webinars help drive traffic to your site. For starters, once you announce the webinar, people will come to your site to register for the webinar. In addition, some webinar software providers allow you to embed the webinar on your site. This means webinar attendees can come to a certain page on your site at the time of the webinar, which then results in increased website traffic. Now that we’ve covered why running a webinar is beneficial for your business, let’s take a look at how you can plan your first webinar. Before you jump into brainstorming an idea for your webinar, it’s important to establish your goals. What do you hope to achieve with this webinar? Do you need to meet certain sales goals? Are you hoping to build your email list? Or do you want to create an awareness for your product? Your goals should guide your topic, which means, once you know what you’re trying to achieve, it’ll be much easier to come up with the topic for your webinar. Ideally, your webinar audience will be filled with potential customers who would be interested in your product or service. If you already have an email list and have built up your social media following, you should have no problems getting your warm audience to register for your webinar. However, you’ve got to consider what your audience is interested in and make sure the webinar topic aligns with those interests. One option is to conduct a brief survey using a tool like SurveyMonkey and ask them about their current problems or interests. Another option is to monitor what they’re talking about online and brainstorming a topic based on your observations. When you’re creating a webinar, a survey can help you discover your audience’s interests. If you’re just starting out, a webinar can help you build your audience and you can find out what they’re interested in by spending time in the same groups or communities online. Observe what questions they ask, how they talk about certain topics, and what problems they keep running into. Then, use that knowledge to structure a webinar that’ll help solve their biggest pain points. As we’ve mentioned above, use your audience insights to come up with an idea for your webinar. The topic should be related to your product or service and it should also be valuable to your audience. It needs to speak to their desires, problems or pain points and position your offer as the perfect solution. Once you’ve got the idea nailed down, you need to create a catchy headline that’ll gauge their interest and encourage them to click over and register for the webinar. You’ll also need to outline your content. This will save you time in the long run and ensure that you know what to say at every key moment of your webinar presentation. It’ll also ensure that everything you need to cover is covered without leaving you scrambling for words to fill the air. Stories and examples you can draw upon to build a rapport with them. A great way to structure your offer and bonuses is to create urgency and make the bonuses available only to live attendees or for a specific period of time. Once you’ve planned out your webinar, it’s time to set a date and then deliver your presentation. Here are a few tips that’ll help you do that along with recommended tools. Landing page builder. In order to get people to register, you’ll need to create a landing page on your site. On this page, you’ll want to include the date and time of your webinar, the title, and topic that’ll be covered, and, finally, the registration form. If you’re using WordPress, you can use a WordPress theme built for landing pages or you can use a page builder such as WPBakery Page Builder plugin that gives you a drag and drop interface for building pages on your site and integrates with almost any WordPress theme. Email marketing software. An email marketing software will allow you to add people who sign up for your webinar to your email list so you can remind them about the webinar on the day of the event. It’ll also allow you to send them a follow-up email and market to them in the future. Webinar software. Finally, webinar software such as GoToWebinar will allow you to actually deliver your webinar presentation, record it, and engage with your audience through a live chat. Webinar software can help you deliver your presentation. In most cases, a webinar is accompanied by a presentation or a slide deck. Depending on your preferred platform, you can use Apple’s Keynote or Microsoft’s PowerPoint and there’s no shortage of presentation templates for either one. 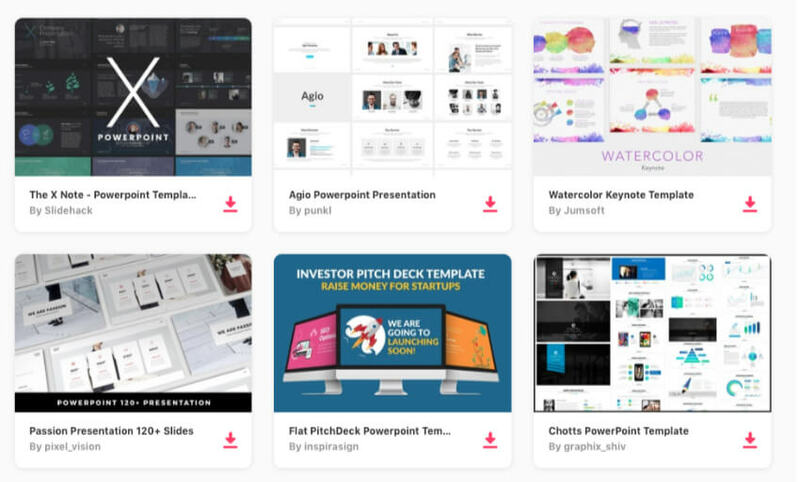 Whether you’re creating a sales webinar or another type, you can find plenty of presentation templates on Envato Elements. Using a template will save you time when it comes to formatting your presentation so the only thing you’ll need to do is change the colors and fonts to match your brand. Needless to say, you’ll need to promote your webinar in advance if you want your audience to show up. The first place you should start is with your email list. You can send a campaign that shares the details about the webinar and takes them to the registration page. You’ll also want to promote your webinar on social media by sharing your registration page. You can also add the link to your registration page in the bio section of every social media profile you own. Another way to promote your webinar is to use paid ads like Facebook ads or Google AdWords if you’ve got the marketing budget to support it. Lastly, consider writing a few guest posts for other blogs in your industry, sharing valuable insight with them and including the link to the webinar registration page in your byline. Finally, you’ll want to test your audio and internet connection to make sure the sound isn’t distorted and the video and audio aren’t interrupted by a poor Internet connection. If you plan to do webinars on a regular basis, it’s worth investing in a higher-end microphone and a better Internet plan. Aim for at least a 3–5 MB upload speed or better and try connecting your computer directly to your modem with an Ethernet cable. From building your email list to converting leads into customers, webinars are a powerful marketing strategy you shouldn’t ignore. Creating a webinar could be the best next step for your business to take. Use the tips in this article to help you plan, market, and deliver your first webinar.